What happens to your employer-based 401(k) account when you leave a job? That’s for you to decide – and if you make no decision, you may end up losing hard-earned benefits. 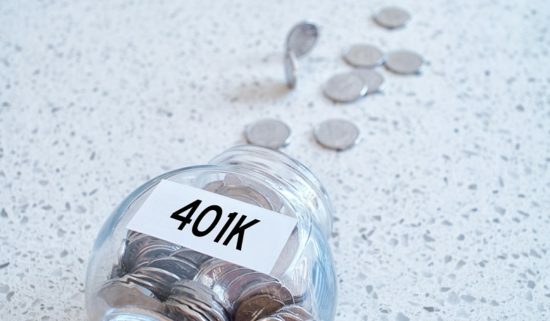 A recent study by the Government Accountability Office (GAO) found that over the ten-year period from the beginning of 2004 through 2013, more than 25 million Americans left their 401(k) account with a former employer. It’s perfectly acceptable to keep your 401(k) in place if you can, but proper communication is key. If your former employer is sold, restructured, or goes out of business, you have lost a valuable link to the employer’s plan and may not be aware of the status of your funds. Conversely, if you fail to update the plan administrator of your new address and contact information, they may not be able to notify you when your benefits are due to be paid out. Plan administrators may allow you to keep the 401(k) in place if you have over $5,000 in the account. With a balance below $1,000, the plan may force you out by sending you a check for the amount. With a balance from $1,000 to $5,000, the company is obligated to help you set up an IRA to receive the funds. If you leave the decision to your ex-employer, several bad outcomes are possible. Plan administrators may leave your account in place and notify the IRS of the plan, who in turn notifies the Social Security Administration (SSA). When you file for Social Security benefits, the SSA will send you a Notice of Potential Private Pension Information. This allows you to reclaim the lost funds – assuming you can locate them. 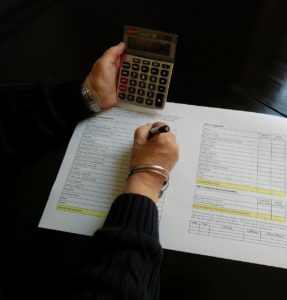 If the plan administrator doesn’t notify the IRS about the distribution, you could receive a notice at retirement regarding benefits that were already paid out – resulting in tax confusion and forcing all parties to waste time searching for non-existent benefits. If they cash you out, plan administrators could remove the 20% withholding for income tax and send a check to the wrong address. It goes uncashed, but the transaction is reported to the IRS – sticking you with an increased tax bill in addition to the lost funds. The GAO report also highlights how complicated retirement issues become when a foreign workplace retirement plan is involved. Reporting requirements are not straightforward, driving up tax preparation costs for participants and increasing the risk of miscommunication. The best way to avoid leaving your 401(k) behind is to move it somewhere as soon as possible. You have three alternatives to leaving the plan in place – roll it over to a new employer’s retirement plan if that plan allows rollovers, roll it over into a separate IRA to avoid paying taxes on the distribution, or simply cash out and take the corresponding tax hit. Generally, you have 60 days to complete a rollover into a new account to avoid taxes and potential penalties if you are under age 59.5. Beyond that point, you will have to use a trustee transfer to move the funds from one account to another without tax ramifications. It’s best to use a direct transfer within the 60-day period, making sure that old plan funds are distributed directly to the new plan and not to you. If you choose to cash out, consider putting those funds into a Roth IRA. You’ve already paid taxes on the money, so why not put it in a vehicle that gives you greater flexibility at retirement? In short, we recommend moving your funds to a different account within a 60-day window to avoid the account being lost to you over time. If you do intend to keep it in place, you must be extremely diligent in keeping track of your old plan. Whatever you decide, make your plans known to all parties. For too many older Americans, the concept of an enjoyable and relaxing retirement seems to be slipping away. According to a recent survey, one-third of Americans aged fifty and above believe that they will outlive their savings. Approximately the same amount (34%) of older Americans who had not yet retired believes they are extremely or very financially prepared for their retirement. Many other older Americans are in the middle ground — somewhat prepared and confident, yet anxious about their retirement years. Whether you are already retired or nearing that point, the survey shows significant anxiety about retirement finances within your age group. 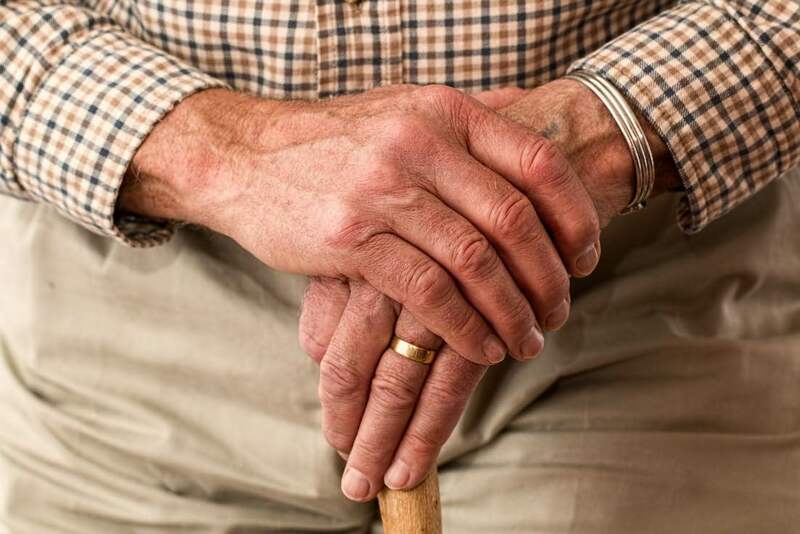 The survey, funded by the Alfred P. Sloan Foundation and conducted by the AP-NORC Center for Public Affairs Research, shows that there is serious concern among respondents about how long retirement money will truly last and what expenses they may face in retirement. That is true even through most seniors report multiple sources of retirement income — 81% have two or more sources and 60% have three or more. Unexpected medical expenses are one of the largest sources of expense concerns, with exactly half of respondents reporting anxiety about being able to pay them. It should come as no surprise that older Americans with lower incomes are more anxious about retirement, but anxiety crosses the income lines. 58% of survey respondents with household incomes below $50,000 report anxiety about their retirement nest egg, but so do 40% of respondents with incomes greater than $100,000. While there are concerns about retirement savings, it’s not for lack of trying to save. Approximately 67% of older Americans that are still working are placing some of their paycheck aside for retirement — but as with anxiety, the responses shift with total income. 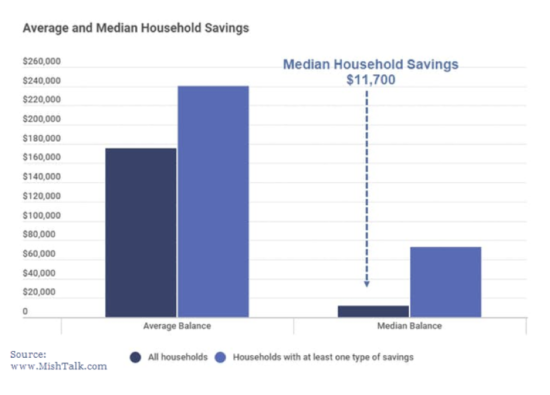 An overwhelming majority (90%) of those with $100,000 or more in income are saving for retirement, while just under half (47%) of those earning below $50,000 are doing so. Even with multiple sources of retirement income, Social Security plays an important role in many retirement plans. For 44% of those aged 50 or above, it is expected to be the largest component of income. A majority (54%) of respondents with incomes below $50,000 report that they will rely heavily on Social Security. Unfortunately, 43% of respondents either plan to start receiving Social Security benefits before their full retirement age (FRA) or have already done so — reducing those critical benefits by anywhere from 6% to 30%. If they are having trouble getting by in the near-retirement years, seniors must make a critical decision. Do they struggle with little margin for error in the early years, or do they collect early and run the risk of outliving their funds? Given the number of early claims, it is no surprise many seniors expect to outlive their savings. Income sources outside of Social Security are not bringing sufficient security, either. Only around 33% of seniors with retirement investments are very confident or extremely confident that their funds are being managed well — and that is during a prolonged bull market. The lack of confidence is approximately equal whether the accounts are self-managed or managed by others (professional or not). Are you one of those anxious about retirement funds and expecting to outlive your savings? Feel better through taking action. It’s never too late to trim expenses, divert more of your income toward savings, and invest your savings wisely in a suitably diverse portfolio. Proper planning and action now could prevent financial anxiety when you retire. Many students walked across stages at their universities last month to receive their college diploma. These students were stepping across the stage towards their futures, their blossoming careers and, for some, crippling financial struggles. 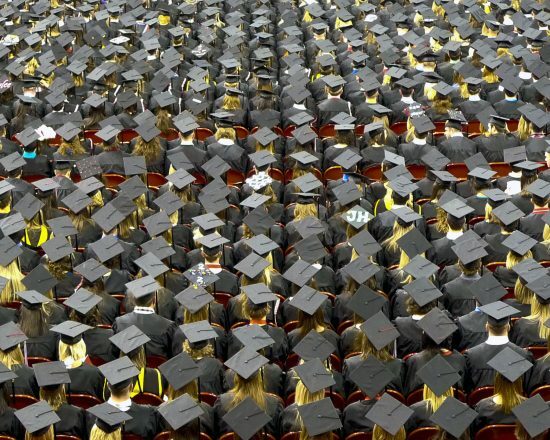 Seven in 10 college graduates (about 69 percent) graduates with over $28,000 in debt. As if this isn’t enough, most college graduates are also setting out to begin paying all of their own bills for the first time and taking charge of their personal finances. If this is you, don’t worry. There are a few things you can take note of to keep control of your finances in this new chapter of your life. Pencil out a budget. Using pencil is a key here. During the first few years out of college, many graduates change jobs. They sometimes make more money (or less) and their budget has to be adjusted. Drawing up a budget and sticking to it is important for overall financial wellness. Begin retirement planning with your first job. With the first job you get out of college, you should begin planning for your future (if not before then). You can set up automatic withdraws from your paycheck and stack up money in a 401(k) or Roth IRA for retirement. Oftentimes, if the company has a retirement savings plan (like a 401(k)), your employer will match your contribution. You will also get a tax break on the money you put into your retirement fund. Know the value of your money. When you look at purchases, you should think about how much time it took you to make that money. For instance, if you are thinking about buying the new FitBit watch for $300, think about how many hours it takes you to make that money. If you make $15 per hour, you would have to work for 20 hours to get that FitBit watch. Is it worth it? Don’t be afraid to move back in. Moving back in with your parents is something almost every college student fears. If you’ve been in a dorm for four years, moving back in with mom and dad can seem like a drag. You go from having all the freedom in the world to having to follow your parent’s rules again. However, you can benefit from moving back home. Taking up residence at your parent’s house can help you save money, give you time to focus on finding the job you want and can also be a nice change of pace from the hustle-and-bustle that was university life. Don’t worry. You won’t be there forever. Don’t use your credit card as a default payment method. Lines of credit should only be used when it is necessary or when you know you can pay the bill in full. For instance, many people use their credit cards for their day-to-day purchases to rack up rewards. This is perfectly acceptable if you don’t overspend. Simply purchase the things you would always purchase with your credit card and then pay it off in full each month. You have to have an emergency fund. Having money set aside for emergencies is a must! The loss of a job, car repairs and some medical bills can’t be foreseen. If you have money set aside for these unexpected costs, you won’t have to go into debt paying for emergencies. The ideal emergency fund would have at least $1,000 to $2,000 in it. Continue learning. Even though you are done with college, you should never stop learning, especially when it comes to your finances. Pick up a few finance-related books, take a finance class or find a financial advisor to help educate you about saving and investing. Never stop learning and educating yourself. Splurge a little. While saving and planning are important, you should also splurge a little bit of money on experiences while you are young. Many students take the summer after college to travel. If you have the opportunity to do so, you should. Don’t be afraid to spend money on experiences. What advice would you give to new graduates? June marks halfway through the year, and if you have not started a savings plan yet, this summer is a perfect time to start. Improving your finances may have been a New Year’s resolution for you, but we all know how busy we are during the beginning of the year. Then, one thing leads to another, and boom, it’s summer. Clearly state your goals. Before starting a savings plan, you should know have a clear vision of your financial goals. Are you tired of living paycheck to paycheck and want to change your lifestyle? Or, are you hoping to by a new home next year? Whatever it is, write it down. Determine your net revenue and expenses. A summer savings plan will only be helpful if you know where to begin. 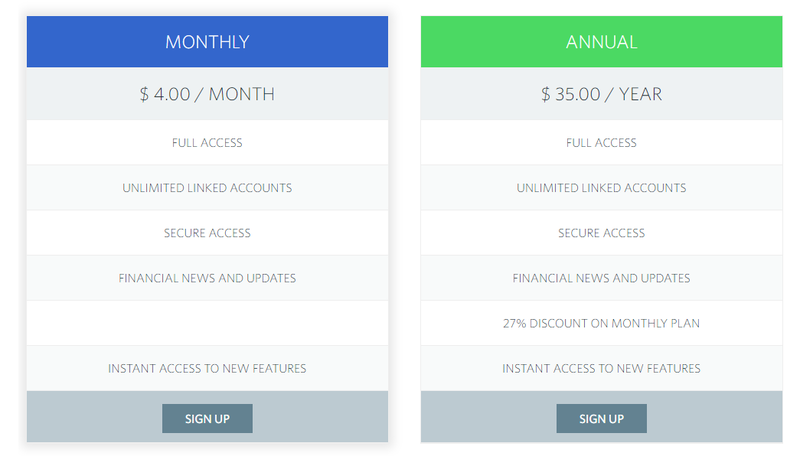 Know how much you bring in each month versus how much you spend. This includes both fixed and variable expenses. Once determined, you will be able to evaluate where you can make cuts and how much you can realistically save each month. We recommend saving 25% of your income, distributing some of that savings between an emergency plan and retirement, but this may not be realistic to you to start. If that is the case, start at 10% and work your way up to the 25% mark. What is the cost of your financial goal? If you have something specific you want, such as a new car or that dream vacation, acknowledge the full cost of this goal. If you are just wanting to improve your financial situation in general, think about how much each month or annually you would ideally love to have left over after expenses. You need to know the cost of your goal in order to work toward it. For instance, if you are looking to renovate your home, and you’ve figured it will cost $8,000 to accomplish all your renovations, you need to save roughly $667 per month for this project alone for a year in order to do it 12 months from today. Pick your platform. There are many tools you can use to save and invest money. Once you know how much you are able to save each month, you need to pick the platform that is best for you and your summer savings plan. If you want to get a bigger bang for your buck, you will want to consider a long-term resource that develops interest over time. The average interest rates for online banks are 0.75% to 0.95%. Anything higher is definitely an option to consider as well, but just be sure to do your research on these offers and companies. Another option for your summer savings plan is to actually invest some of your savings. A couple alternatives to savings accounts include a mutual fund, which is a professionally managed investment program funded by multiple shareholders that makes up a collection of stocks and bonds; and a Guaranteed Investment Certificate (GIC), which is a secure investment that guarantees 100% of the money originally put in but delivers a lower return due to its low-risk characteristic. We recommend consulting in a financial adviser if you are new to investing. Go automatic. To ensure that you are putting money toward your summer savings plan consistently, set up your savings to go in to your account(s) automatically. Make sacrifices. Instead of splurging on a summer vacation this year, hold off and use that money toward these financial goals. You can still enjoy your summer without spending a lot of money on trips. In fact, you can still enjoy a getaway or two. Camping by a lake is a great inexpensive option. Hate camping? Take advantage of the recent sharing economy trends through companies like Airbnb and EatWith. You can easily plan a weekend getaway somewhere closer to you with reduced costs in accommodations and food. If a big trip is part of your financial goals, try to save even more to make your money go even farther. If saving up for a trip is in fact on your radar, look into using a Tax-Free Savings Account so that your savings grow even faster. Note your progress. As you have the amounts for each goal determined along with deadlines, you need to start monitoring your progress on reaching these goals to help keep you on track. 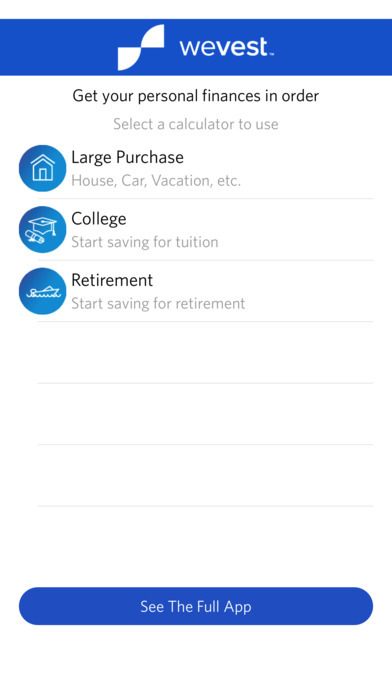 Create a savings plan checklist and mark off each item one by one. Leave notes and write down the dates of completion. Use a template that works best for you and is easy for you to understand. 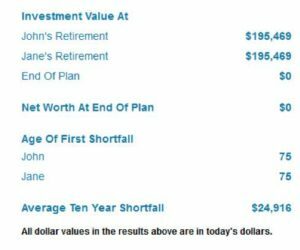 Even if one of the items is “start a retirement fund,” you are working your way to a better financial future, even one year from now. If you decide to give your savings an extra little kick by taking on some temporary seasonal jobs this summer, be sure to include that extra money in your plan. Make any adjustments as needed. With your plan in place, use your free-time this summer wisely to make your plan a reality. Adjust your plan as needed, including extending goal dates for leisure items on your list or putting more toward an emergency fund. Frequently compare and contrast your target savings to what you are actually saving and see where you can make changes to meet your target more. Using these tips will help you get ahead for the following seasons as well as help you develop some positive saving habits. Would you add anything to the list? 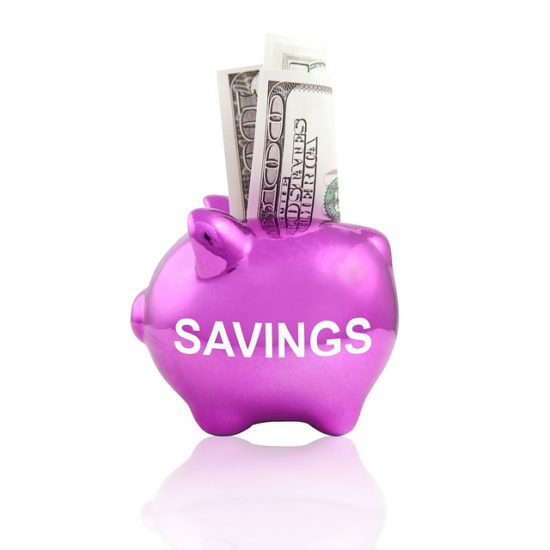 What does your summer savings plan look like?